What Will Retailers Do with 2.7 Million Tablets? Mobile technology is changing the retail landscape in ways that haven’t been seen since the rise of e-commerce. However, the trend that’s captured my attention lately is what’s happening with mobile devices inside the store – and more specifically, how retailers are using smartphones and tablets inside the stores. A recent research study from retail analyst firm IHL Group included a fascinating statistic. 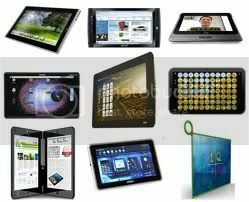 According to IHL’s survey, more than 2.7 million tablet devices will be shipped for use in North American retail and hospitality by 2015, an increase of 450% over current rates. These figures don’t even take into account the handheld devices that retailers are scrambling to roll out in mobile POS deployments. The bottom line? Get ready to see millions of tablets and smartphones in retail stores in the next few years, along with fundamental changes in everything from the physical layout of stores to the way that consumers interact with store associates. 61% of retailers surveyed by IHL Group rate mobile technology as their top priority, so what we’ve seen so far in store-based mobile systems is just the beginning.